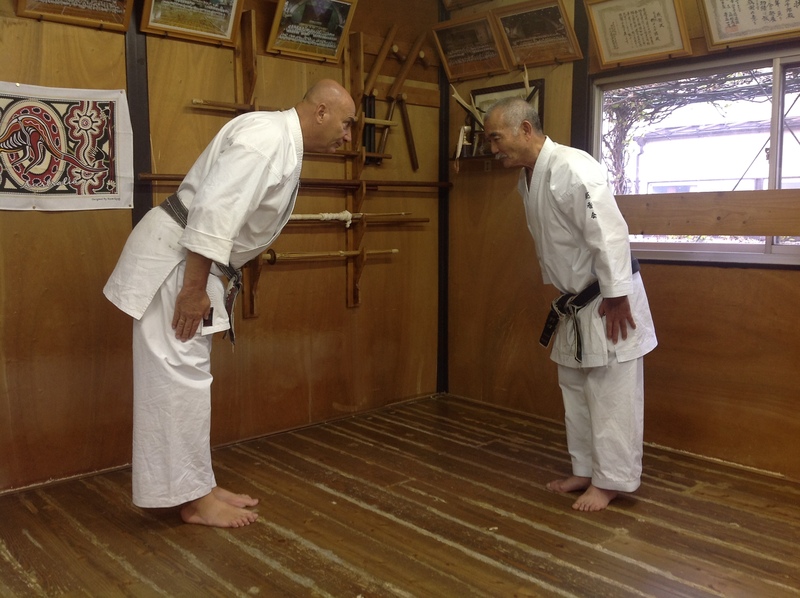 James Sumarac and Master Noguchi Bowing. 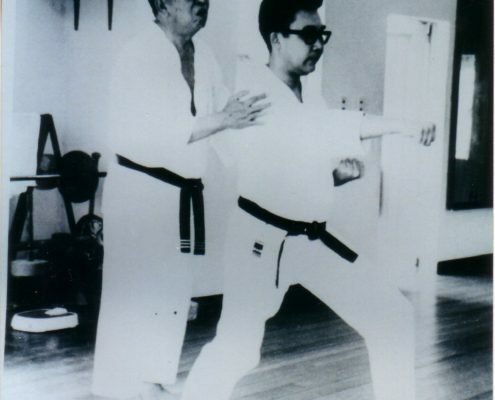 “To truly master Karate-do one must embody the entire philosophy; without a strong virtuous mind, the body is useless”. 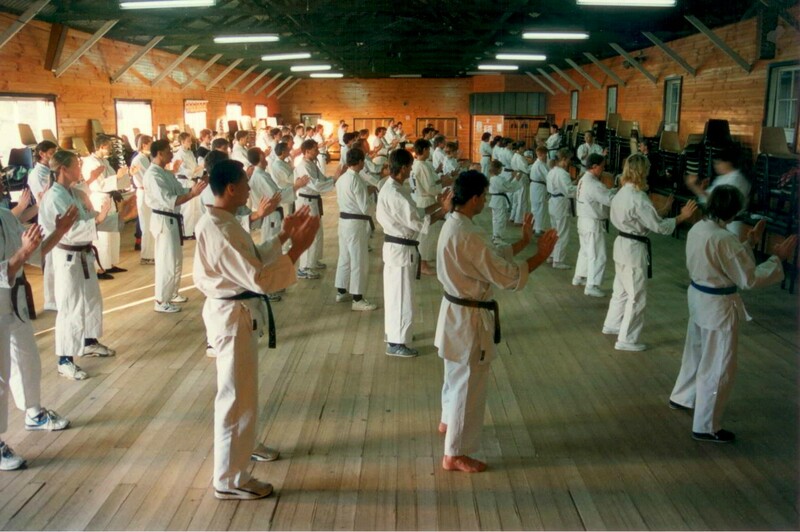 The right atmosphere in a Martial Arts school is the most important thing to look for. 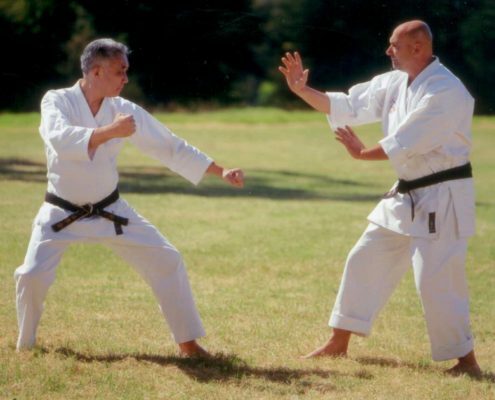 Traditional Martial Arts is not only about the physical aspects of combat but also character building and humility through austere training of the body. This is impossible without etiquette and politeness. 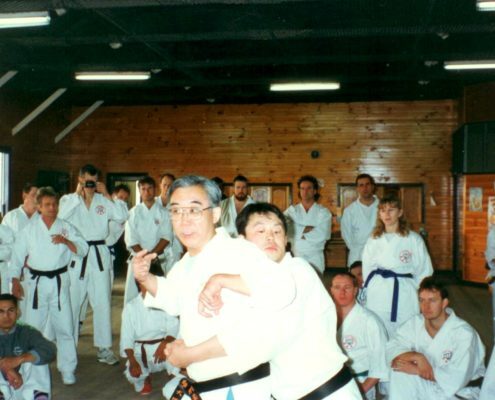 I would like to outline a few hints to create an environment conducive for serious Martial Arts study and empowerment. 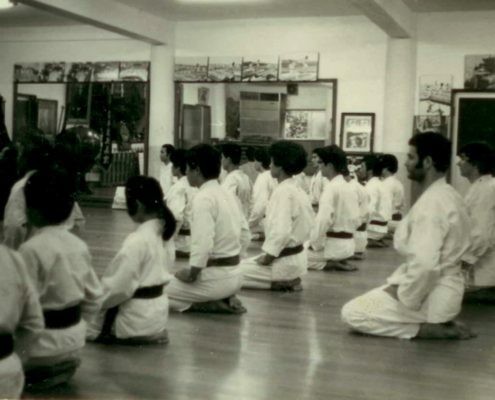 Bowing: On entering the Dojo or school it is customary to make a standing bow at the door and announce yourself by saying out loud “Good Evening!” to whoever is inside. Once they respond, you say “Onagaishimasu”. 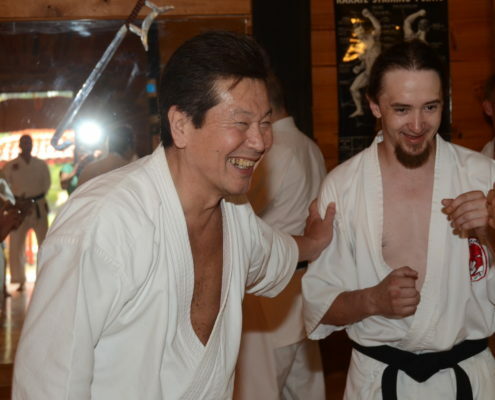 This is a Japanese word with many meanings depending on the occasion, but in a Dojo it means: “I am here to better myself, please teach me.” It is usually directed to a higher grade, a sempai or Sensei, and is particularly used on the bow before commencing free sparring. At the end, a lower grade would thank them for the lesson. 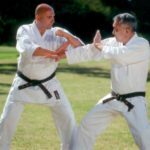 Quietness is courtesy: Because of the seriousness and obvious possible danger involved it is important you are quiet whilst training, only discuss technique if you need to assist a lower grade. 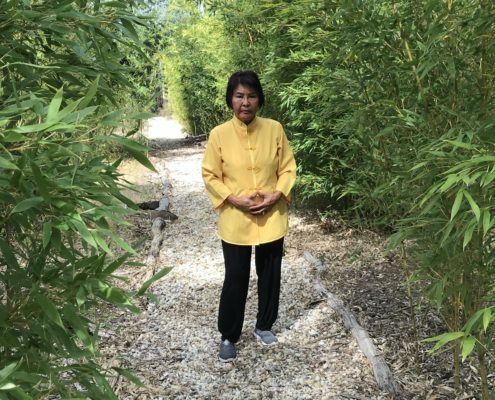 Never talk when the Instructor is explaining a lesson and it is important to stand up straight while listening, arms crossed or hands on hips is considered rude. Hygiene: Personal hygiene should be adhered to, your uniform and especially feet should be kept clean and toe and finger nails kept short. I have seen serious cuts from long toenails that also have the potential for infection. Jewelry is also potentially dangerous and the training area is no place for it. As with bare feet it is once again a symbol of humility. Smoking is strictly prohibited in the dojo or even in front of the dojo. If you smoke at all it will hold back your efforts in Karate-do. 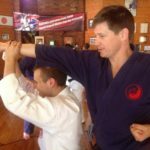 Gradings: Never ask your Instructor when you are ready for grading, he/she will hand you a letter or grading application with the details. Don’t call us, we’ll call you! 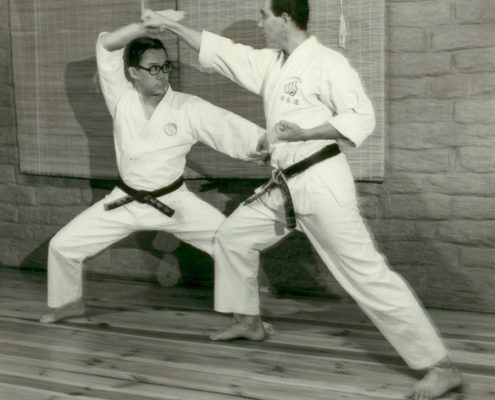 If you have been away from training for more than three months, it is appropriate to wear a white belt until your teacher feels you have returned to previous standard. Bullying is not permitted in anyway; mindfulness of others and their ability is paramount in the progress of a strong dojo. Training should be hard and spirited when working with a partner but contact controlled depending on the abilities of your partner. Bullying or malicious behavior is a big sign of insecurity and weakness and serious bullying faces immediate expulsion from a school. 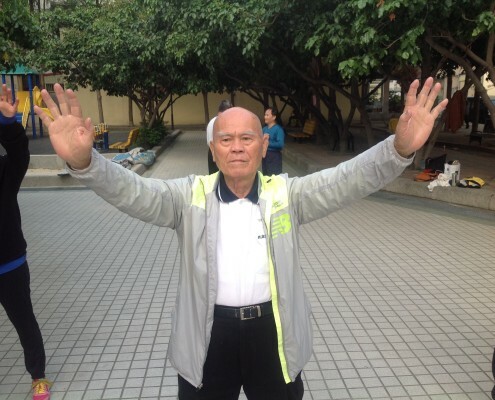 When being corrected or receiving instruction students should stand at attention and respond immediately with a loud “Hai” or a simple “Thank You”. This means you have understood the correction and will work to improve it. 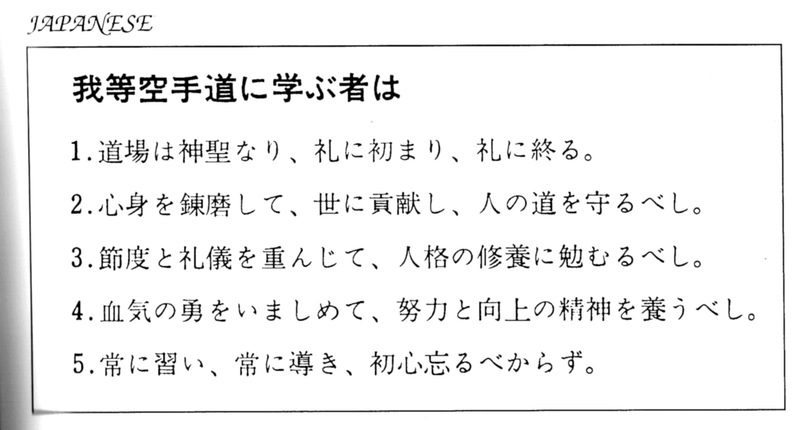 The Dojo Oath, as written by Master Tadahiko Ohtsuka. 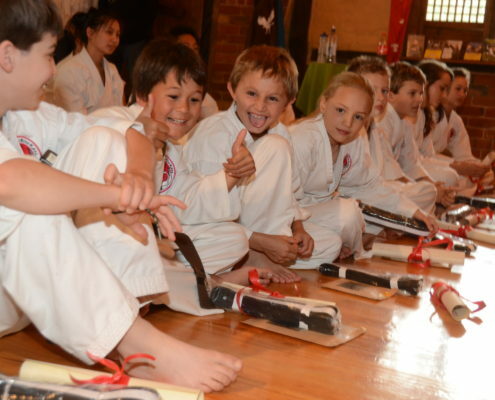 The dojo is a sacred place where everything begins and ends with respect and good manners. Train your mind and body to make positive contributions to family, community and cultivate your moral sense. Be modest in your ways, courteous and make efforts for the development of good character. Don’t be obsessed with youthful exuberance, but endeavor to acquire the spirit of improvement. Always be taken to learn and guide, and remember to remain as innocent as you were as a novice.